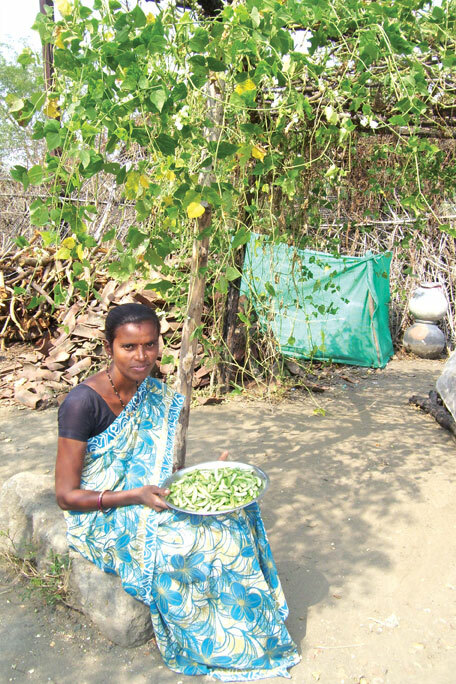 Over the past few years, NGOs in tribal-dominated parts of Maharashtra have undertaken initiatives to fight anaemia using kitchen gardens under a project by the Department of Science and Technology, Government of India. In Wardha district, the National Organisation for Community Welfare started a kitchen garden initiative in five villages. “When we began our project in 2011, we tested 373 women from all age groups for their Hb count,” says NGO head Preeti Joshi. They found 60 to 90 per cent of women in each of the five villages had Hb count between 7 and 9, indicating moderate to severe anaemia. The same year, 75 families raised kitchen gardens. When 115 women from these families were tested again a year later, 113 of them registered a rise in Hb count. 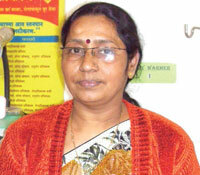 “The number of women with a healthy Hb count of 11 and above rose from nine to 100,” says Joshi. it is good to eat as many as vegetables and fruits (totally vegetarian), but my aurvedic doctor asked me to stop eating every leafy veggy, as she observed my body is pitta prarutti. And this suggestion keeping me healthy at least stopped the cracks on palms and foot. The author has focused on a very important issue of dietary deficiencies leading to anaemia which is predominant in rural populace, especially women and adolescent girls. In my childhood, the crop diversity during Kharif season in Vidarbha, where I grew up, used to be quite wide ranging between about 10 and 13 crops. Women had a specific role in deciding the types of crops grown. It was a common practice to maintain special crop alleys called "Pata" in the farm which comprised of a variety of different vegetables. Some of the surplus vegetables were sun dried and kept for summer when no vegetables could be grown. There was also a traditional practice of consuming wild vegetables which used to emerge with the onset of monsoon. This wide biodiversity of vegetables, whether wild or grown in the farm, accounted for nutritionally rich dietary consumption. Analytical studies undertaken at Dharamitra, a NGO located in Wardha, showed that some of these wide vegetables were very rich in some important nutrients like iron, calcium and vitamin C.
This situation got completely changed with the adoption of green revolution technologies resulting in reduction of crop diversity which now mostly bogs down to few cash crops. In middle and western Vidarabha, only three crops like cotton, Soya bean and pigeon pea now covers about 85 to 95 % of the cultivated area. Unless we look back to the issue of restoring crop diversity in the farms which also helps in sustenance of land fertility as well as adoption of some of the relevant traditional practices like consumption of wild vegetables, the problem of mineral malnutrition in rural areas will only be aggravated which cannot be solved by consumption of only iron pills as very aptly brought out by the author in this article.